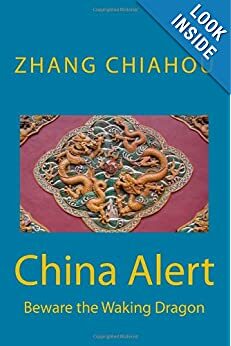 For those readers really interested in China AND India, this is a ‘must-read’ article. I’ve only extracted the first part. For full article go to – India and China: Strangers by choice | The Economist. 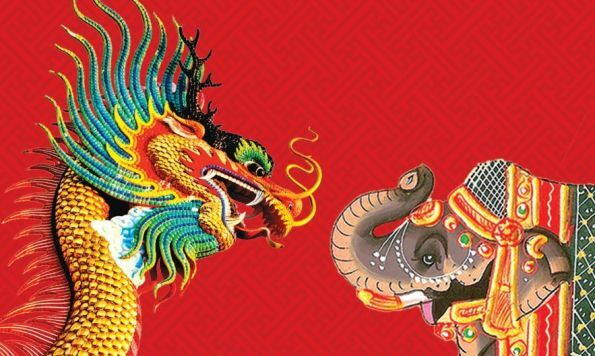 FEW subjects can matter more in the long term than how India and China, with nearly 40% of the world’s population between them, manage to get along. In the years before they fought a short border war, in 1962, relations had been rosy. Many in China, for example, were deeply impressed by the peaceful and successful campaign led by Mohandas Gandhi to persuade the British to quit India. A few elderly people in China yet talk of their admiration for Rabindranath Tagore, the Bengali writer who won the Nobel prize for literature in 1913. And though Nehru, India’s first prime minister, was resented as arrogant and patronising by some Chinese leaders, the early post-war years saw friendship persist and some popular respect for him too. In China, for example, books on India were then easily available—unlike today. The past half-century has produced mostly squabbles, resentment and periodic antagonism. India felt humiliated by its utter defeat at the hands of Mao’s army in the 1962 war. China’s long-running close ties to Pakistan look designed to antagonise India. In return India is developing ever warmer relations with the likes of Vietnam and Japan. An unsettled border in the Himalayas, periodic incursions by soldiers into territory claimed by the other side and China’s claim—for example—that India’s Arunachal Pradesh is really a part of Tibet, all suggest that happier relations will be slow in coming. Even a booming bilateral trade relationship is as much a bone of contention as a source of friendlier ties, given India’s annoyance at a yawning deficit. One glimmer of hope, in theory, is that ordinary people of the two countries might start to understand each other better as levels of education, wealth and interest in the outside world all grow. As tourists, students and business types visit each other’s countries, perhaps they will find that they have more in common than they believed. In fact, judging by a sharp and well-crafted memoir by an Indian journalist who was posted in Beijing for four years, ignorance and bafflement are likelier to persist. Reshma Patil was sent by the Hindustan Times, a large Indian newspaper, to Beijing in 2008, one of only four Indian print journalists in the country (by contrast Chinese media groups had 16 correspondents in India). Her account of time there, “Strangers across the border; Indian encounters in boomtown China”, is revealing for its detail and anecdote, but also for its broadly damning conclusion about the state of ties between the countries: “extreme ignorance and nationalism illustrate their mutual relations”, she says. 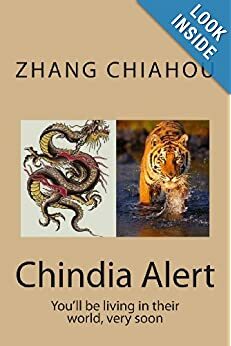 Most entertaining, from an Indian point of view at least, are her accounts of Chinese ignorance about India. She visits a centre in Beijing devoted to learning cricket in case it ever becomes an Olympic sport (it is called shenshi yundong, or “the noble game”), whose players have never heard of Indian stars, or of the cricket world cup, and who appear to prefer playing ping pong. During numerous forays to universities she finds students learning foreign languages who routinely dismiss India as dirty, poor and irrelevant. A wide misapprehension, she says, is a belief that India is Buddhist. Officials and journalists tell her that India suffers from an “inferiority complex”, that it is so backward (“naked…children piss on the streets”) that there can be “nothing to learn” from the country. She suggests that one Indian drink, the mango lassi, has become popular in China, but otherwise the Chinese she meets mostly have little interest in Indian products or culture. Indian traders are famously stingy. Its brands, such as those of big outsourcing firms, are poorly understood or assumed to be of low quality. Persistent racism towards dark-skinned Indians is broken in only one case, by the head of a Chinese modelling agency who says he is fond of Indians who can pull off a “Western look”. India meanwhile makes pitifully little effort to correct Chinese misunderstandings. As well as few journalists, India had only 15 diplomats based in Beijing during Ms Patil’s time, most of them inactive. Only two had any economic expertise, and most only started learning Mandarin after their arrival in the country. A big Indian business lobby group had a single representative based in Shanghai. She estimates that only a few hundred Indian businesses, in any case, are active in China (with even fewer Chinese ones in India), and few of the Indian ventures are led by Mandarin-speakers or local hires. As an example of ignorance, she mentions a Chinese business reporter who has never heard of Infosys, a $33 billion Indian IT firm. India’s low profile in China, she argues, “prolongs the shelf-life of anti-India propaganda”. For if most Chinese are merely ignorant, many are troublingly nationalistic where their neighbour is concerned.Ms Patil dismisses annual exchanges of a few hundred students each as a hopeless affair. Sometimes India ships a low-cost dance troupe to China. Most such exchanges of students, journalists and others end up in mutual frustration; a failure to communicate; and terrible hunger among vegetarian Indians horrified by Chinese cuisine. via India and China: Strangers by choice | The Economist. Armed police in Northwest China’s Jilin province joined the party by performing a “Little Apple” dance, featuring a hit song, and became an instant hit online. The song, originally by China’s Chopstick Brothers, enjoyed great popularity around the nation for its melody and lyrics. Previously, the Conscription Office in Xi’an, Northwest China’s Shaanxi province released its version of “Little Dance” to recruit young people. It is the first time the People’s Liberation Army has used a popular song for promotion, showing a different side from the stern impression the military used to convey. Unlike previous conscription campaigns highlighting commitment and contribution, the innovation reflects the Chinese army’s attempt to create a more close-to-the-people image. Many people have given credit to the army, saying the video is fascinating and humorous. “Those soldiers are so cute and I want to join the army after watching it”, one said online. But for some, the video is not in accordance with Chinese soldiers’ serious image. “I’m really concerned about the Chinese army’s quality after seeing the video. It’s like a spoof. If those soldiers were on a battlefield, could they win the war?” one critic said. 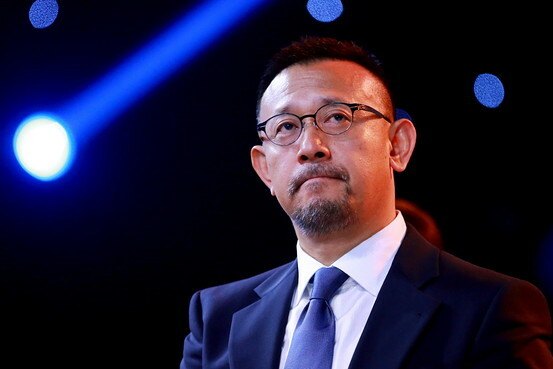 via PLA displays its softer side- Chinadaily.com.cn. 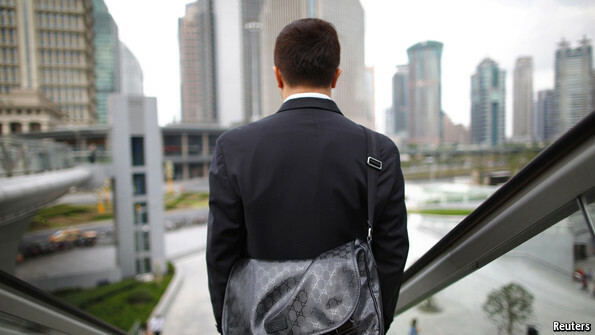 via Disillusioned office workers: China’s losers | The Economist. 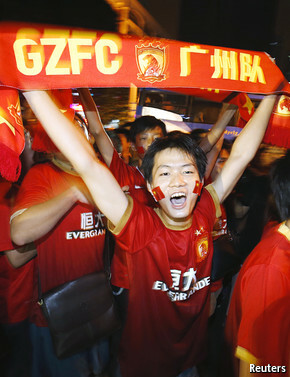 Could This Be China’s Youth Movement? Keeping better-known global competitors at bay in their massive home market, Chinese tech companies are hiring Silicon Valley executives and expanding overseas with aggressive marketing campaigns featuring international sports stars and celebrities. They still face a perception problem among consumers in many parts of the world that their products aren’t as high-quality or reliable as others. 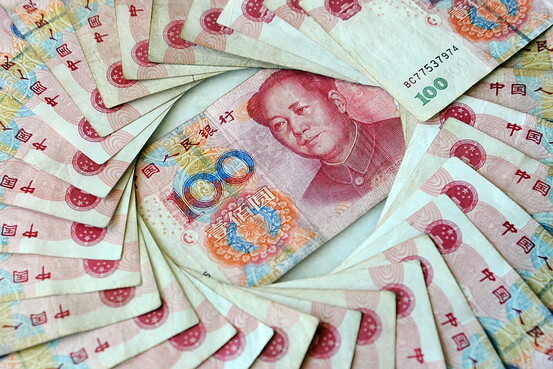 Some foreign competitors have alleged that Beijing gives unfair advantages through subsidies, cheap financing and control over the currency market. But, many executives at Chinese and Western companies contend, China’s technology sector is reaching a critical mass of expertise, talent and financial firepower that could realign the power structure of the global technology industry in the years ahead. via China’s Tech Firms Now Challenging the Likes of Samsung, Apple – China Real Time Report – WSJ. Jack Ma, one of China’s best-known entrepreneurs, thinks business success in China has nothing to do with prestigious foreign degrees: “When you want to judge whether a person . . . is excellent or not don’t look at whether they went to Harvard or Stanford,” he is famous for saying. More and more Chinese parents apparently disagree with the co-founder of internet company Alibaba: they are increasingly spending three or four years’ annual family income to send their only child for foreign study. Some are now asking whether it is worth the investment. The number of Chinese studying overseas has more than tripled in the past decade and continues to shoot up. The rise has been particularly dramatic among lower-middle-class families: according to a report from the Chinese Academy of Social Sciences, up to the end of 2009 students from such families made up only 2 per cent of all those who studied overseas, but by the end of 2010 the proportion had risen to 34 per cent. For many Chinese families with children overseas, money is no object. But many lower middle-class and working-class families are counting on their only child to support them in their old age. Foreign universities also increasingly rely on fees from Chinese students to ​boost their income. But is it worth spending Rmb1m-2m ($165,000-$330,00) on preparing for and completing an overseas degree, only to return to a job market where seven million graduates cannot find jobs? According to Chinese recruitment agencies and human resources professionals, people who have studied overseas – known as “haigui”, or sea turtles, because they have one foot on land and one in the sea – command little if any salary premium when they start entry-level jobs back in China. via China parents count cost of sending children to overseas universities – FT.com.